Buzzworthy Baby offers beautiful framed ($189ARV) and canvas wall art ($129ARV) for every baby's nursery or even for children's rooms. These prints come full of color, adorable images and personalized with all of the important details such as: baby's name, birth weight, birth time and date, siblings, parents and other personal information that should and can be preserved forever in a pictorial homage of the family's special day! Who knew a Birth Announcement could be so beautiful?! Read Mami's 3 Little Monkeys Full Review HERE! One lucky reader will win their very own personalized Buzzworthy Baby Canvas Wall Art/Birth Announcement valued at $129! This giveaway is open WORLDWIDE to whom are at least 18 years of age at time of entrance. Giveaway will run from July 12th at 12am until July 26th at 11:59pm. Winners entries will be verified. Simply enter through the Rafflecopter form below for your chance to win! 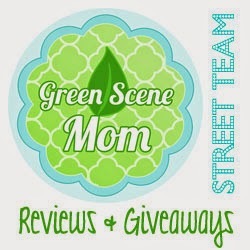 Disclosure: Trying To Go Green and all other participating blogs are not responsible of prize fulfillment. I received no monetary compensation for this publication. Review & Event have been conducted by Mami's 3 Little Monkeys. If you are a sponsor please contact Sarh at mamis3littlemonkeys@yahoo.com. All the possible personalizations are awesome! This would be for my baby boy! I learned it is Printed on high quality artist canvas. This would be for my son Anthony!